Someone on the Ninjette forum was asking for peoples’ opinions on the Honda Superhawk the other day and, since we happen to own one, I posted some of our thoughts on it. 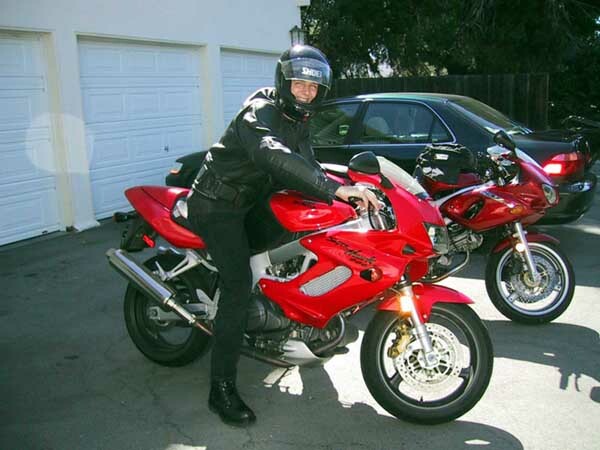 It had been a while since I’d reminisced about the Superhawk, to be honest; it hasn’t really run properly in a few years and Peter fits so much better on the V-Strom that that’s become his go-to bike. Â While thinking about it for the post, it occurred to me that Peter has owned the Superhawk for very nearly 10 years now and that we really do have many fond memories of it. So, in honor of its upcoming 10-year-anniversary in our garage, here are some pictures of the Superhawk. 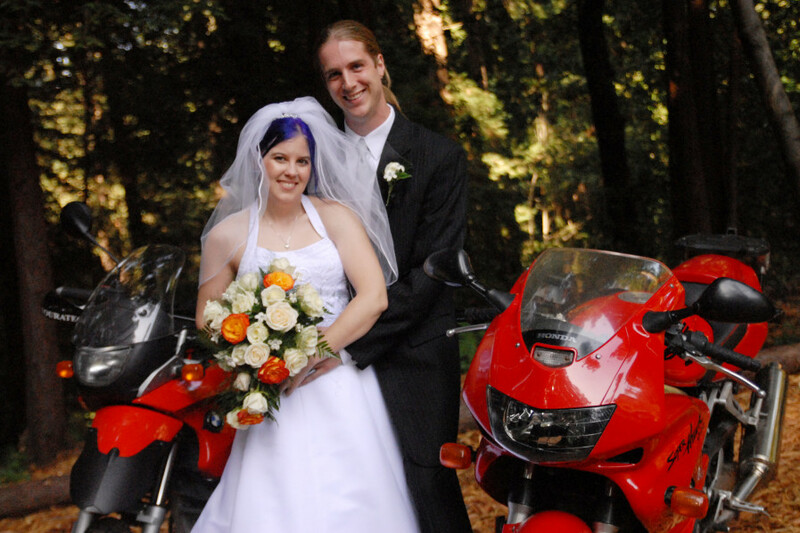 Our first day trip with the Superhawk, Â July 2002 (ride report here). Â You can see why I started buying childrens’ sized helmets. Death Valley, February 2005 (ride report here). Â The Superhawk and SVS really did make a gorgeous pair, didn’t they? This entry was posted in Superhawk, Way Back Machine. Bookmark the permalink.